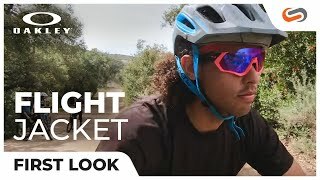 Oakley Flight Jacket is the ultimate sports frame. 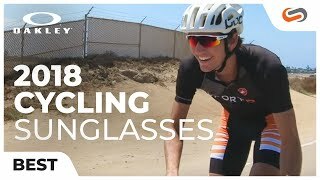 Designed for cyclists and runners alike, this performance piece has an open brow that enhances upper field of view. The Flight Jacket also features innovative Advancer technology for superior on demand airflow while maintain optical alignment. Two included sets of interchangeable temples expand compatibility with a wide range of helmet designs. Flight Jacket is available with Oakley’s color and contrast enhancing Prizm technology for unmatched clarity. Get the Oakley Flight Jacket for uncompromising performance.